Gradually Facebook Ads have become a popular ad platform after Google AdWords. Tracking of conversion is the major part of campaign success. 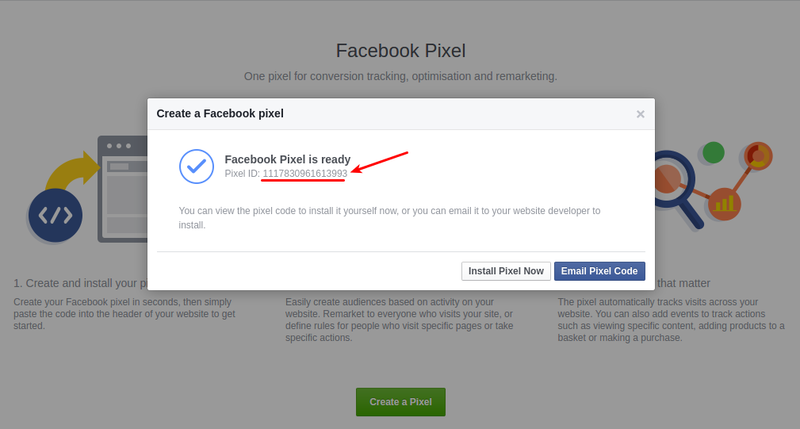 Facebook has its own tracking pixels functionality to track conversion data, but if you don’t have easy access to a developer, tracking code implementation will not be an easy thing. — Building custom audiences from your website for remarketing. — Optimizing ads for conversions. — Tracking conversions and attributing them back to your ads. 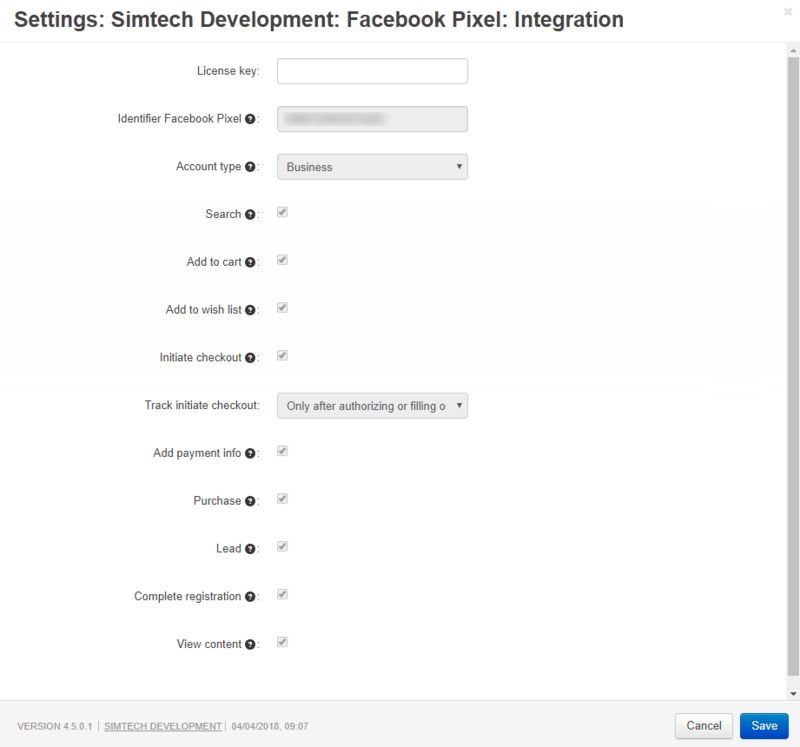 The Facebook Pixel add-on supports not only Personal but also Business Manager account. The Business Account allows to join Ad Account, Pixel and Product Catalogs to track product feeds and ad campaigns. The CS-Cart Facebook Pixel add-on allows CS-Cart store owners to implement this code themselves to eliminate all redundancy & implementation errors relating to Facebook Pixel codes. 1. Get the pixel. Go to Ads Manager to create your Pixel. 2. Install Facebook Pixel add-on. In Account type select an account type, for which the Facebook Pixel is set up (Business or Personal). If you have Business Manager account first of all you need to Create Business Manager Account. 3. Create or update your Ad to track conversions from your site. 4. Create or update existing ad campaign to track conversions from your site. 5. Get Pixel Helper to check that your pixel is working. 6. View reporting and results from the pixel. 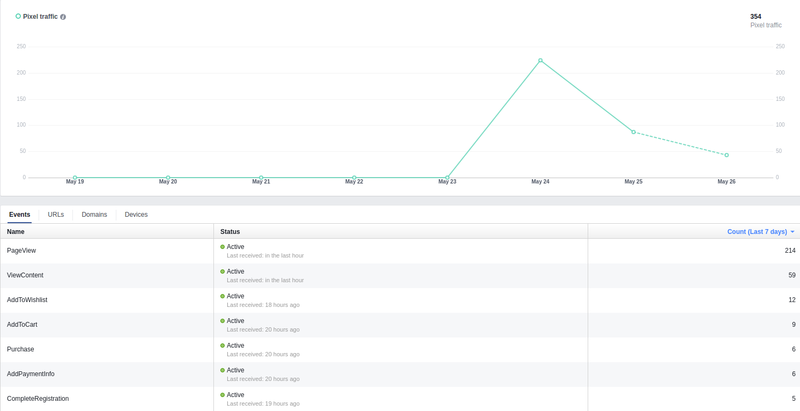 The Facebook Pixel event statistics page can be found in the Ads Manager. 7. Adjust your ad or campaign. Need compatibility with another version? Contact us now. This add-on is developed and published by Simtech Development, a CS-Cart developer. You are guaranteed a quality add-on supported by the future versions. If you need help, please contact us via our help desk system. This add-on is a MUST if you own Cs-Cart, doesn't matter what you sell or where, the insights you will get at your Facebook ads account from facebook pixel will help you to understand better how your target audience is reacting to your Facebook marketing, and who wants to aim blind and lose money becuase of ineffective marketing right? Buttom line, GET-IT-NOW! This AddOn works great. Thank's for support! 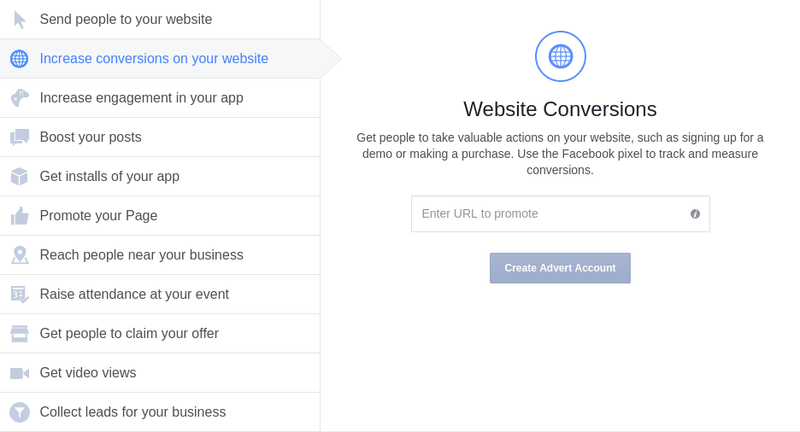 Great addon and very useful if you use facebook ads. It works exactly as it should. [!] The "Add to cart" button did not trigger the event for blocks where the display of this button was enabled. Fixed. [!] The event of adding a product with variations to the shopping cart was not tracked. Fixed. [+] The ability to track product by "Product code" has been added. [+] The ability to send price and used currency when adding products to the Cart has been added. [~]The name price has been changed to value. The value of the event passed by currency and value parameters. [!] The issue appears in the template in case the price of the product is not transferred. Fixed. [+] The ability to track initiate checkout on all stages or only after authorizing or filling out the address has been added. [!] 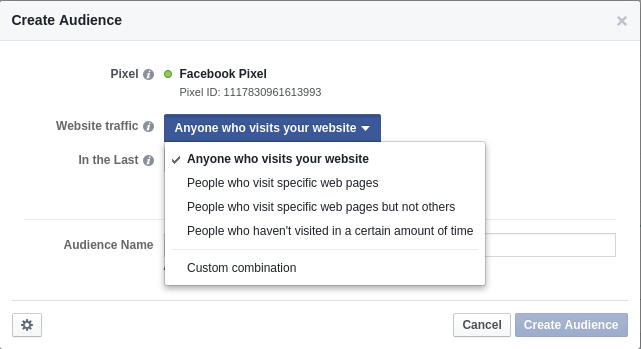 The Facebook pixel complete checkout event didn't appear when the One page checkout add-on was used. Fixed. [~] The add-on was tested with new Facebook API. [~] The add-on became compatible with CS-Cart 4.4.2. [~] The add-on became compatible with CS-Cart 4.4.1. [~] Checkout step changes are were added to CS-Cart versions 2.х, 3.х, and 4.3.х. [~] The Facebook Pixels add-on has become compatible with the CS-Cart version 4.1.4.